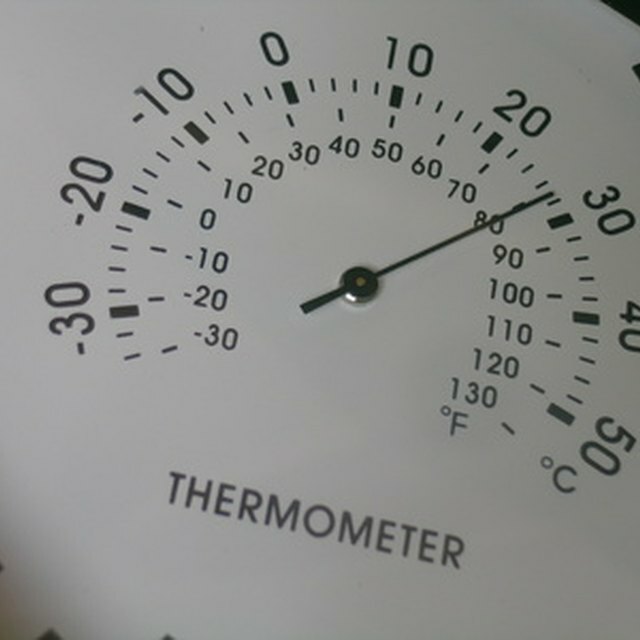 A thermometer may be any device that measures temperature. Thermometers usually accomplish this with a material that has a linear expansion rate over the desired temperature range. Common designs for an outdoor thermometer include a tube that contains a liquid and a metal strip curled into a spiral. You'll need to observe the position of this liquid or metal strip in order to establish a scale for the thermometer. Examine the physical phenomena to use for calibrating your thermometer. 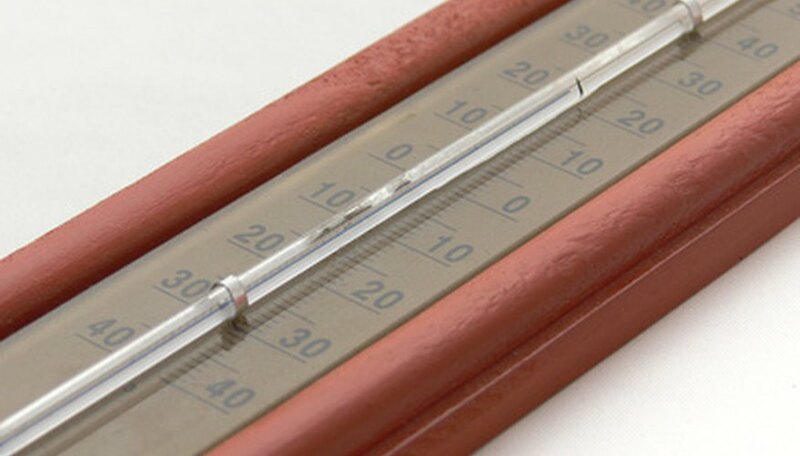 The two temperature scales in common use are the Fahrenheit and Celsius scale. The calibration temperatures of both scales are the boiling point and freezing point of water. Select the calibration temperatures for your thermometer. The Fahrenheit scale is set to 32 degrees for the freezing point of water and 212 degrees for the boiling point. The Celsius scale uses 0 degrees and 100 degrees, respectively. Prepare an ice bath in a container large enough to hold the thermometer. Fill the container halfway with ice and fill the rest of the container with water. Allow the ice water to sit for 10 to 15 minutes while the temperature stabilizes. Place the thermometer into the ice bath and wait for the thermometer to achieve its lowest reading. Record the temperature on the thermometer. Adjust the thermometer to the known freezing point of water, if it’s adjustable. If the thermometer isn’t adjustable, you’ll have to apply a correction when you take a temperature reading. For example, if your Fahrenheit thermometer shows the freezing point of water to be 34 degrees, you need to subtract 2 degrees from your temperature readings. Boil a container of water and place the thermometer into the boiling water without allowing it to touch the sides of the container. Compare the temperature of the thermometer to the known boiling point of water. If the thermometer does not accurately measure the temperature of boiling water, it could indicate a problem with one of the temperature measurements. Robinson, Allan. "How to Calibrate an Outdoor Thermometer." Sciencing, https://sciencing.com/calibrate-outdoor-thermometer-5511132.html. 24 April 2017.